Fall Men's Retreat - What's Your Next Challenge? 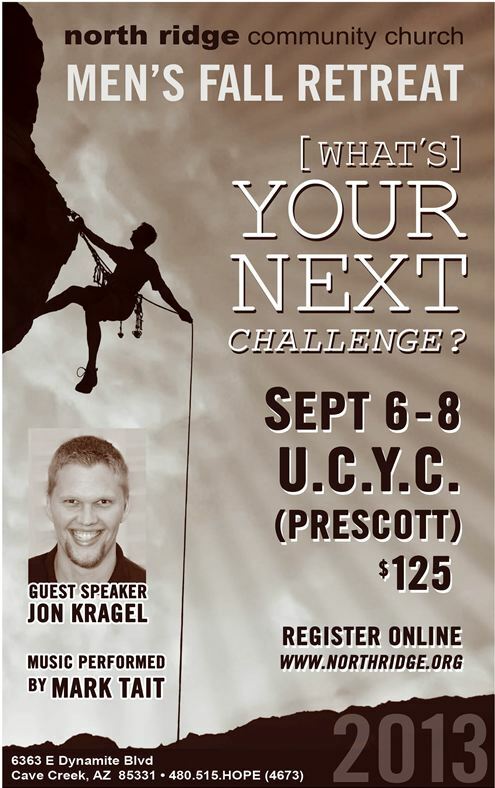 Home » Blog » Fall Men’s Retreat – What’s Your Next Challenge? We recently heard Pastor Jon Kragel speak at North Ridge on Forgiving Others. After hearing him….well, let’s just say Mark got excited to know he would get to hear him again at the Men’s Retreat, and Jacki was jealous! For more details or to register for this event, click here.